Michelle Williams arrives at the "Paley Honors in Hollywood: A Gala Tribute to Music on Television" event at The Beverly Wilshire on Thursday, Oct. 25, 2018, in Beverly Hills, California. 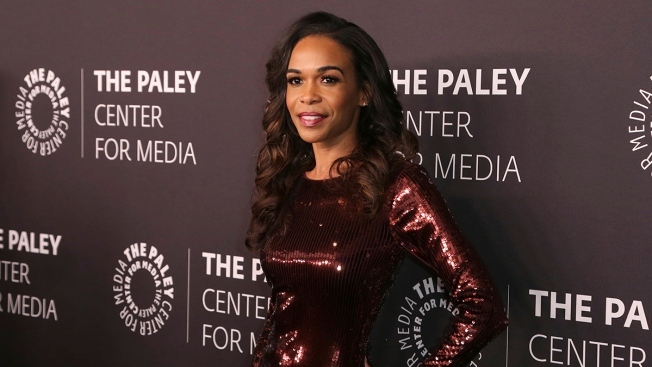 Destiny's Child singer Michelle Williams has called it quits with her fiance. The star announced Friday that her engagement to 40-year-old pastor Chad Johnson is over. The 38-year-old wrote on Instagram that "things didn't work out." Williams says she doesn't want to "destroy another relationship." The announcement came the same day Williams released her new single, "Fearless." The couple announced their engagement in April. They appear in the reality show, "Chad Loves Michelle," on the Oprah Winfrey Network.